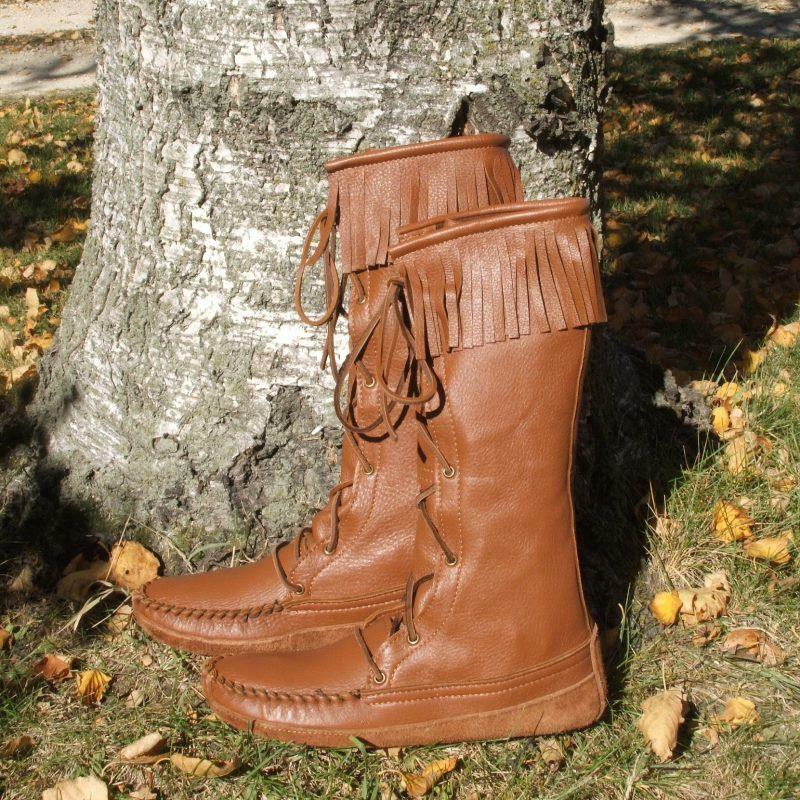 If you wear kneeboots, you won't find any better than these! These kneeboots are handcrafted of supple leather for a soft, conforming fit. The foot portion is also leather lined, completely surrounding your foot with smooth leather. Between the leather layers there are both a leather insole and a Poron cushion insole. Outside there is a durable canoe sole of thick cowhide leather for added wear. These kneeboots are breathable and remain soft after being wet. Available in deerskin or deertan leather. For a truly special pair of boots, choose our genuine deerskin leather. "The Knee High Boots are absolutely wonderful...If you have biz cards, I will be happy to pass them out to people who are looking for the world's most comfortable trail riding boot...Thanks for the nice job. The (black) leather is perfect, too." "I recently purchased a pair of knee high mens moccasins, and I feel I must congratulate you on the most comfortable footwear I have ever had. The craftmanship is of the highest standard and the rigours of basic woodland camping suited them perfectly."